Where do we find the time? I was busy at school last weekend with evening duty on Saturday and afternoon duty on Sunday. As a result I missed seeing one of my older and wiser brothers – Paul – who was calling through with after collecting Charlie from Exeter Uni. They were, I am given to believe, very polite about how the garden is looking, but dubious about whether we were doing all the work ourselves in cultivating the vegetable patch. Charlie was intrigued where we got all our plants from and seemed taken aback to hear that we grew virtually all of them from seed. 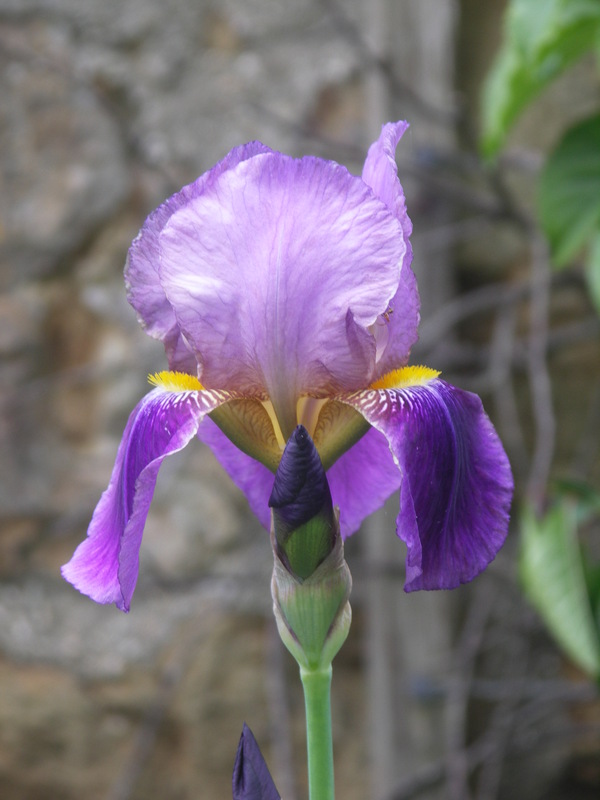 I guess from the outside it does seem that a full time job and a full allotment do not seem to be easily achieved, but it is all about little and often: getting out there and just picking at small jobs each time you’re in the garden. For instance, this evening as I was looking around the garden I had time to weed the rows of cornflowers and night scented stock that are just coming up, weeded some of the parsnips, watered both greenhouses, and dug around the blackcurrants to get rid of some bindweed and nettles. Took about an hour. 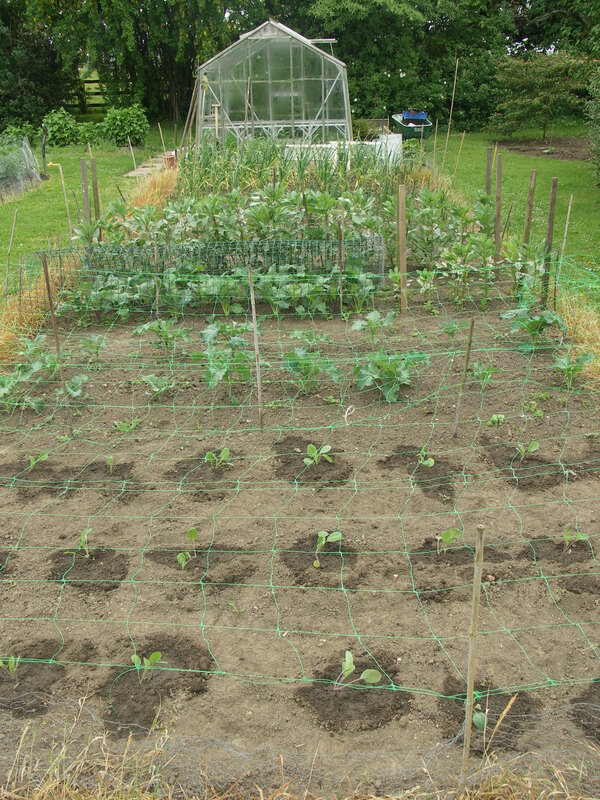 On Sunday evening I planted 24 brussels sprout plants and put netting over them, and also hoed around the garlic and onions. Didn’t take long, but I had just enough time. And it all builds up into one great symphony of stuff growing with such rapidity. The great thing this year is that I now have a base line assessment (spot the teacher) from which to judge this year’s efforts and since last year was so sodden wet, this year seems to be so much better in terms of germination and productivity. And because it has been nice and dry, the weeds and slugs have been kept down. So virtually everything is now planted in their rows or tubs, and for the most part are all looking happy. 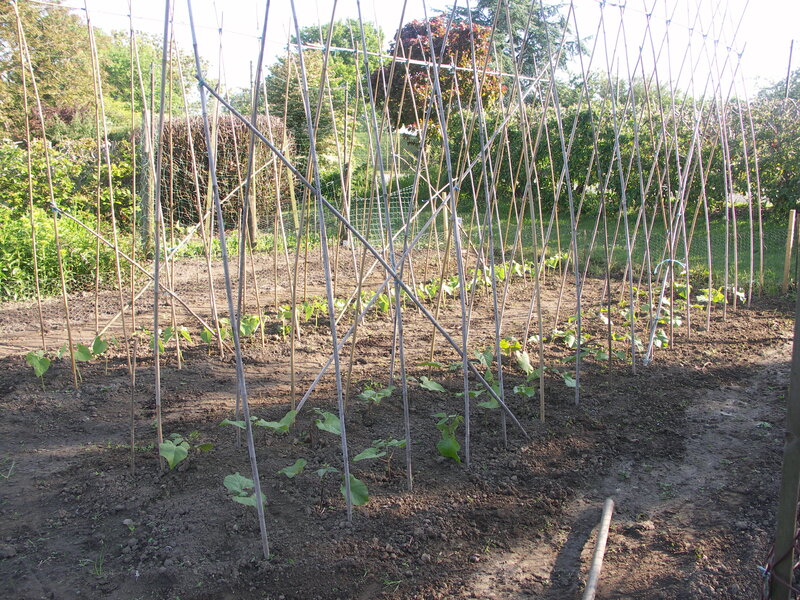 Bees were spotted around the broad bean flowers and the potatoes are starting to come into bloom too, so we could be digging new potatoes soon. And with the lack of slugs, even the hostas are in fine form. So, for now, all those little bits of work have created a scene of rude good health. Only the courgettes had a poor germination this year, but we bought a couple of plants and with two sowings of our own, have now planted out seven little soldiers, which ought to be enough, if they all survive. 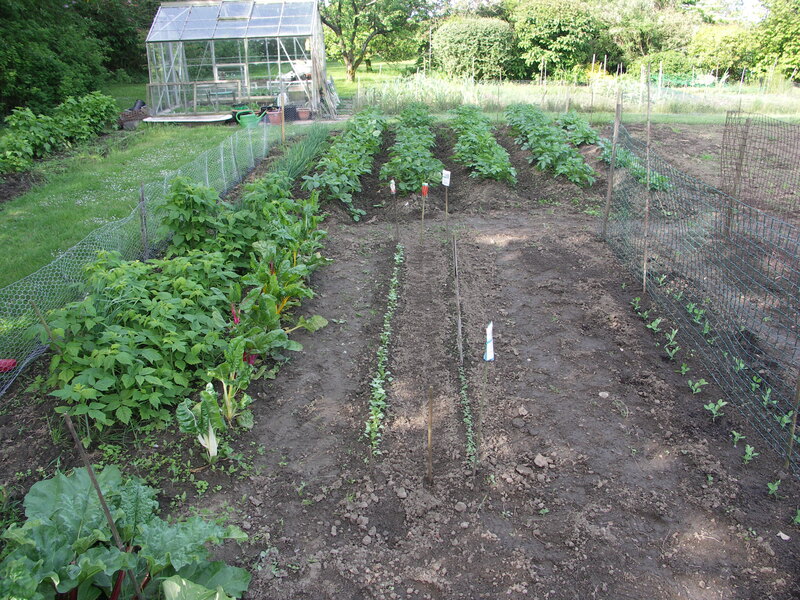 Of course, we have not have any crops yet (with the exception of salad leaves and radishes) so there is still some way to go, but we take one day, or one hour at a time and that seems to be working just fine for now. This entry was posted in Gardening Times and tagged Garden, Germination, Kitchen garden, Plant, potato, Seed, Vicia faba, weed. Bookmark the permalink.